Google did not grab "significant" personal details when collecting data from wi-fi networks, according to the UK's Information Commissioner Office (ICO). The finding came after the body reviewed some of the data Google scooped up from unsecured networks. Google said the data was "mistakenly" gathered while logging wi-fi hotspots to help with location-based services. The ICO said it would closely monitor other global investigations. Information about the gathering of personal data came to light following a request by data protection authorities in Hamburg, Germany, for more information about the operation of Google's Street View technology which adds images of locations to maps. This revealed that Google had "accidentally" grabbed data from unsecured hotspots for years as its Street View cars captured images of street scenes. It led to many data protection authorities pressing Google for access to the mass of data it grabbed to see if laws on the protecting of personal information had been broken. The French data protection authority said it had seen sensitive information, such as passwords, in the data during a preliminary examination. Despite this, Google was "wrong" to gather the information, said the ICO. In response, Google said: "We welcome the news that the data protection authorities in the UK have found that the payload data contained no meaningful personal information." It continued: "As we said when we announced our mistake, we did not want and have never used any payload data in our products or services." 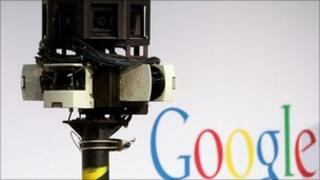 Google has apologised for gathering the data and has now stopped collecting information about wi-fi networks. The ICO said it would remain vigilant and review the findings of other investigations to see if they find Google had broken laws governing how personal data can be captured and what can be done with it. In the UK, Google is still under investigation by the Metropolitan police and investigations are also ongoing in France, Spain, Germany and Australia. In the US, Google faces a class action lawsuit over the data harvesting, as well as a large scale investigation backed by 38 states.